HOLD IT - this one is even nicer than the last post! - The 2006 Dodge Camaro - hold that order car salesman (in my mind), I want this one instead. Dodge really know how to design a concept car. I would love to see this on the road. Based on the 1964 Dodge of the future, this two seater ran the 365 Hp 426 Cube Wedge engine, Auto trans and exhaust dumps in front of the magnesium rear wheels. The vehicle was equipped by a 32-valve V-16 concept engine displacing 13.6 liters and was mated to a four-speed electronically controlled automatic transmission. The car was conceptually related to the Cadillac V-16 of the 1930's. I am a massive fan of the Lamborghini. A car company that in my opinion at at the cutting edge of design. They make cars that you imagined you might be driving in in the "not too distant future", they make everyone else look... well... wrong. This is the Concept S and is clearly based on the Gallardo. The aerodynamics of the “Concept S” have been optimised thanks to front and rear spoilers and a large rear diffuser. Created at the Centro Stile Lamborghini in Sant’Agata Bolognese by Luc Donckerwolke, Head of Lamborghini Design. 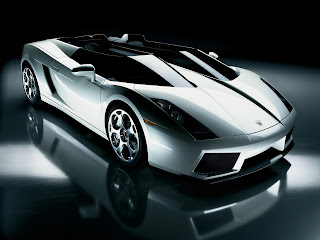 Luc's idea was to modify a Gallardo, Lamborghini's 'baby supercar', into a roadster which would be reminiscent of classic single-seater racing cars. He has done this wonderfully. Pontiac Firebird an iconic American muscle car, how surprised I was to find a concept to make a station wagon (or estate in the UK) based on this classic car! It was labeled as the "K" car for Kammback. The car never saw production but two models were specially constructed in Italy for GM's Design vice president David Holls. The concept was to put out a Firebird station wagon that would provide a performance car to the public. The Batmobile was the brainchild of Lincoln Mercury's postwar chief stylist, Bill Schmidt. Inspired by a scuba-diving encounter with a shark, Schmidt sketched a low, long, wide, and flat vision of the future with a predatory full width grille, ominously hooded headlights, and killer tail fins. Fantastically ugly retro futuristic design. The amazing thing about this car is that it can do 0-60 in four seconds!!! Basically it is faster than a Porsche 911 Turbo, and accelerates at 0.8 Gs!!! The Eliica - short for Electric Lithium-Ion battery Car - was created by Hiroshi Shimizu and the Keio University Electric Vehicle Laboratory in Tokyo. Revealed at the North American International Auto Show in Detroit in January 2005, a glimpse into the possible future design of the cute VW Beetle. Shorter, wider, flatter and meaner. In my opinion what the VW beetle should have been all along. The striking Aston Martin Bulldog. Designed in the 1980's to usher in a new age of angular, low profile and ultimately space aged design. Really impressive even now.